Hiking through our World Heritage Site is the ideal wellness activity for body, mind and soul. 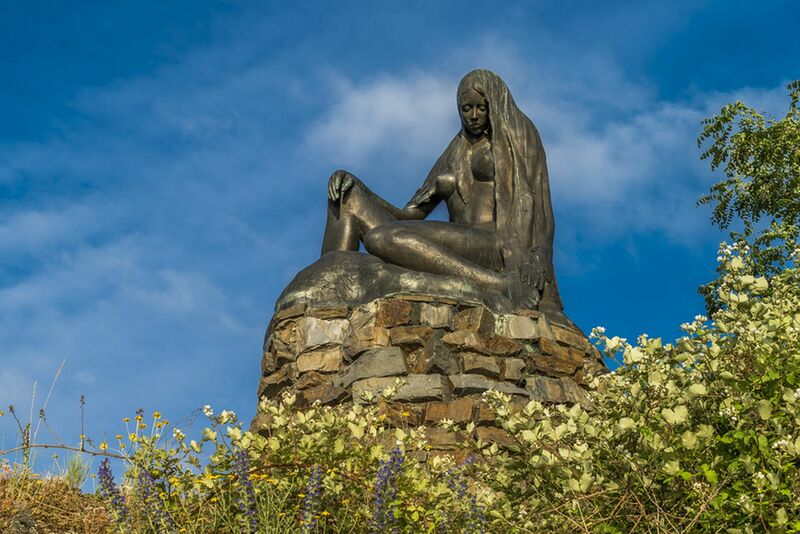 Start your leisurely walks or your extensive day trips into the area at World Heritage host Weinhaus Weiler in Oberwesel! 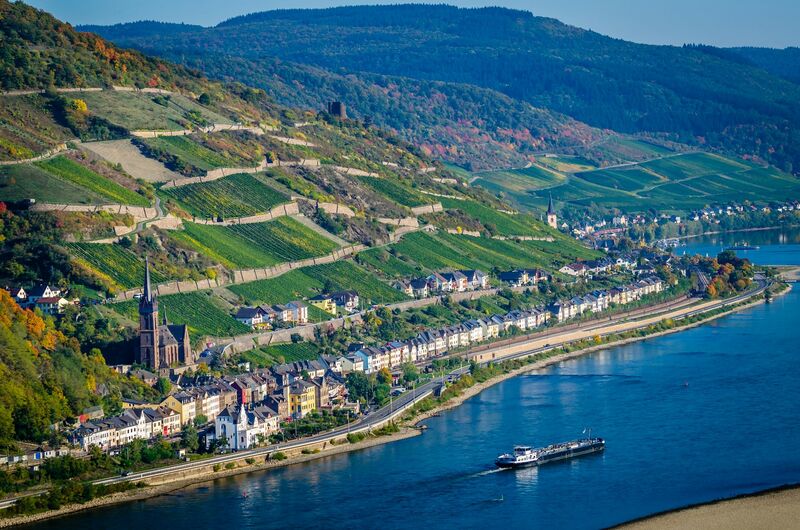 Enjoy the famous Riesling and the view of the river Rhine, visit the various castles, discover Rhine Romanticism, experience warm hospitality and explore this unique region, which we are proud to call our home, with all your senses! 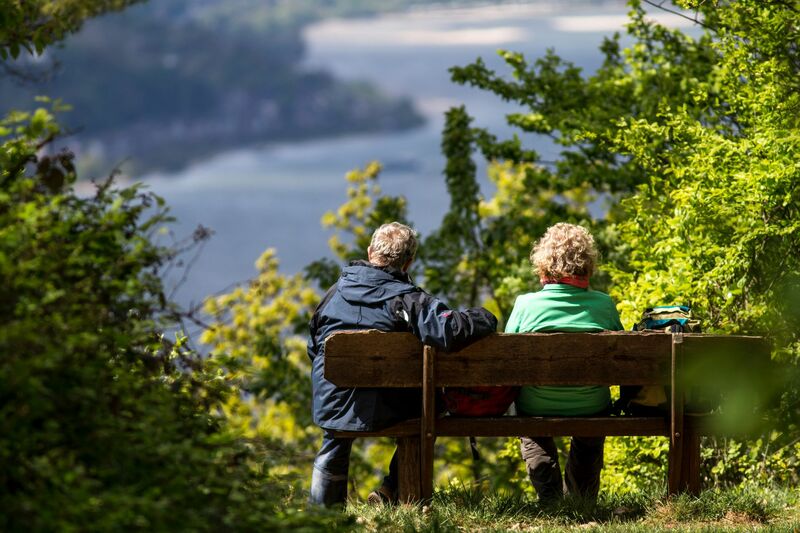 The location of Weinhaus Weiler is known to provide easy access to all the trails in the area and is the perfect spot to start your hiking trips along the Rhine. 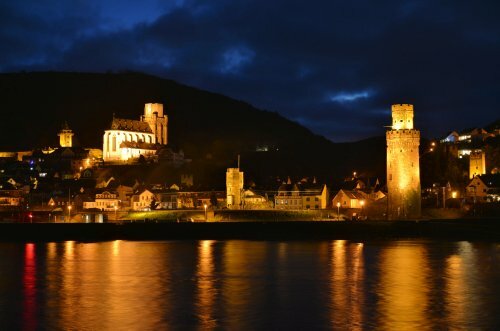 We are looking forward to assisting you in creating an unforgettable holiday experience in the Upper Middle Rhine Valley! With all the relevant information at hand, you do not even need a car to make the best of your stay! 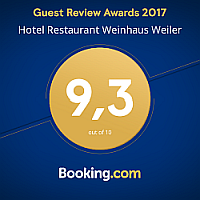 Trains run hourly from train station Oberwesel, a 5-10 minute walk from Weinhaus Weiler. Boats operated by Köln-Düsseldorfer Rhein-Schifffahrt and Weiße Flotte ('White Fleet') depart from the landing stage in Oberwesel, at a 3-5 minute walking distance from our hotel. There are additional ferries connecting both sides of the Rhine. 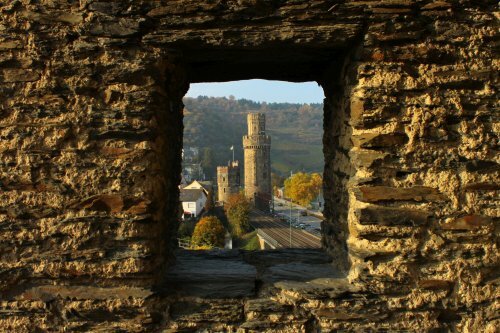 This way, the Rheinsteig and Rhein-Burgen-Weg can easily be paired with your trips. Whether you chose to go on a half-day or day tour, to include a boat trip and/or to float above the vineyards in a chair lift; whether you opt for a challenging hiking trail or choose an easy, relaxing walk – there is the right fit for every guest! You can also book guided tours with our wonderful World Heritage guides and explore the diverse fauna and flora of the area. Of course we have hiking guides and all further information ready for you, and we also offer a small selection of backpacks and hiking poles. 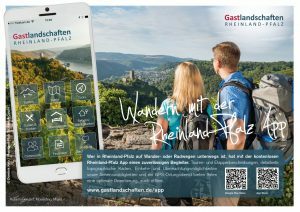 Use the Rhineland-Palantine App to organize your hiking-tour in rhineland-palantine.